Hills of Glory 3D – Games for Android 2018 – Free download. 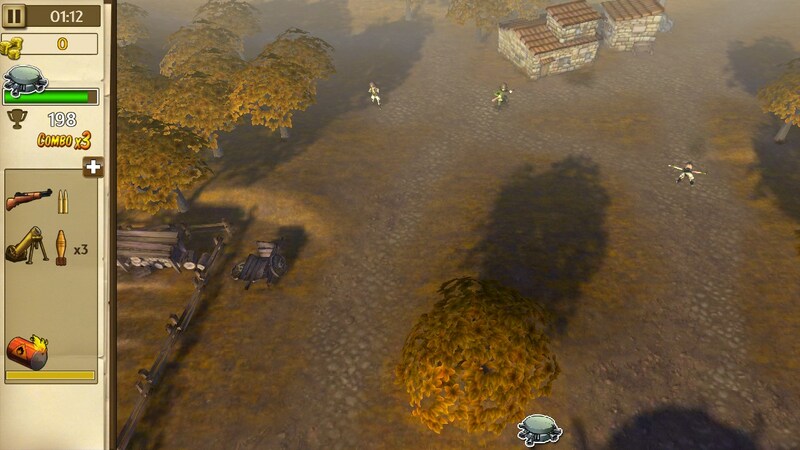 Hills of Glory 3D – Defending bunkers from the Nazis. 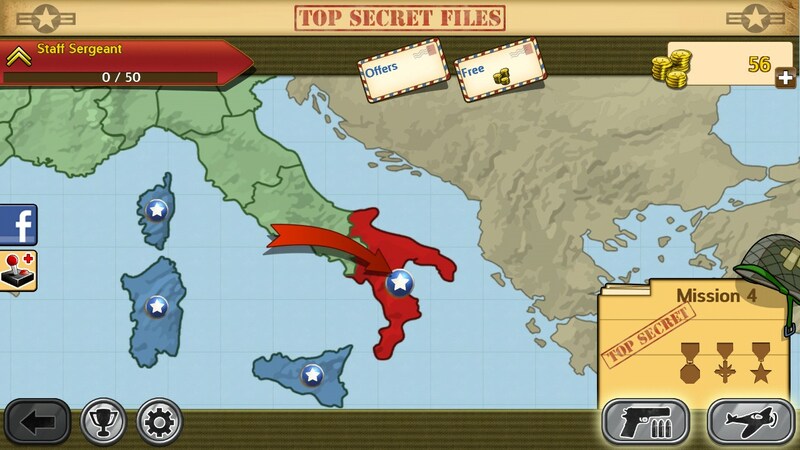 Hills of Glory 3D - is a fascinating shooter for Android, made ​​after the Second World War, in which we will fight in many European countries, from Italy and ending with Germany. Our challenge will be to defend the bunker from attack by enemy troops. Game development studio is engaged in AMA LTD, which we know from such a popular game, as Babel Rising 3D , which is downloaded by tens of millions of players around the world. At the very beginning of the game we'll get a little training, where we will show the control and teach basic military techniques. At each level there is a bunker in which our squad. We can fire straight out of the bunker, pressing the point. Where we press a finger there and will be made the shot. Besides the usual shots we can also seek the assistance of artillery, to do this, press and hold your finger in place, until a red target. We can also call the helicopter support and the bombing of the area, this requires using two fingers draw a region of attack. Each level in the game is unique and has its own scenario of events. For example, the battle on the island, in the mountains or in the middle of a small village. Our tank has a parameter of health, and if it runs out, the game will be lost. Enemies not necessarily come close to attack the bunker, all battles are fought at a distance. 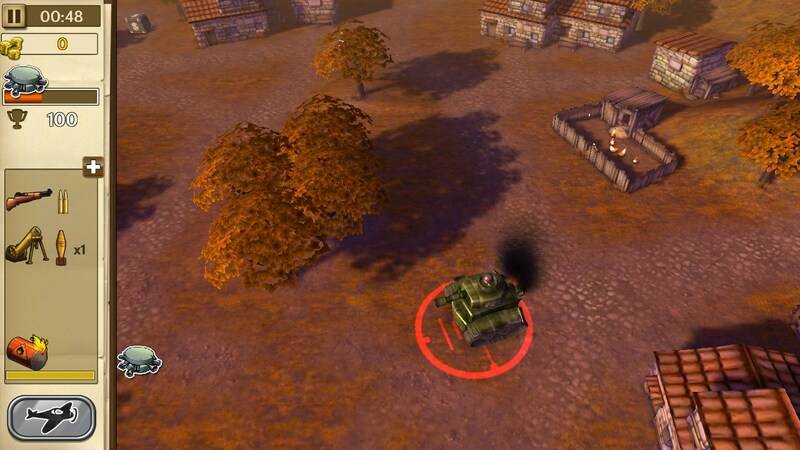 The greatest danger is posed by the tanks that usually appear very suddenly and held up several artillery strikes. 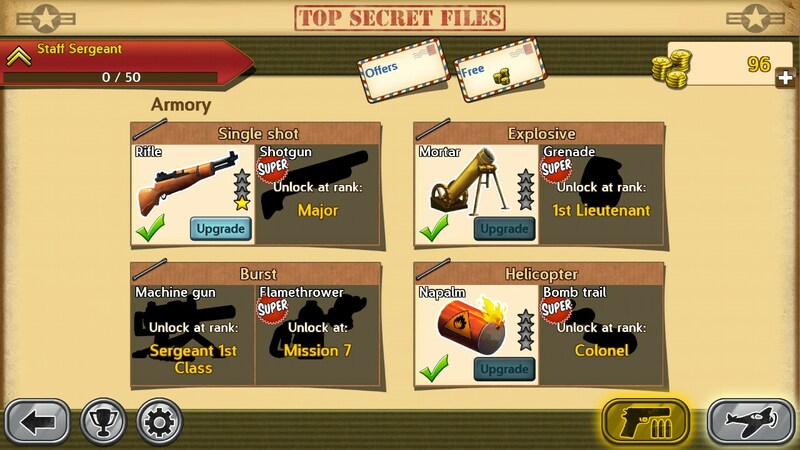 Between missions, we can improve various parameters of the bunker, and improve weapons, increase range and much more. Earn money and bonuses directly during missions. Some soldiers drop boxes containing useful items and money. Funny dialogues and parodies of famous movies. The disadvantages of the game can be attributed not only the most convenient control of the game on smartphones. For example, do a two-finger gesture - an extremely uncomfortable because they do not see where in the end will be made shots. Summary. 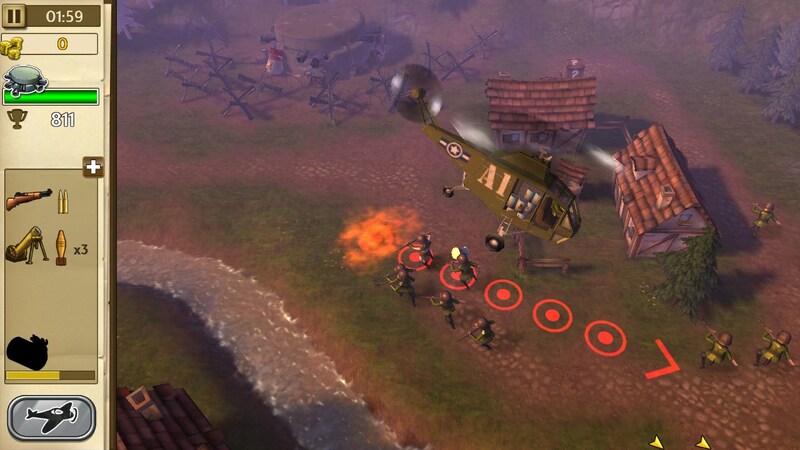 Hills of Glory 3D - this is an excellent protective action game for Android, which like the fans of the genre and war games. Very pleased with the high quality of the game, a good optimization and gameplay.